Adobe released two new versions of Adobe Photoshop Lightroom this morning along with lots of news that is bound to create mass confusion. Some of the changes that were released this morning are good news and others are sure to upset a lot of people. Please read this article, and watch our upcoming tutorials carefully before you upgrade your existing Adobe Photoshop Lightroom Catalog or jump into the wrong program. 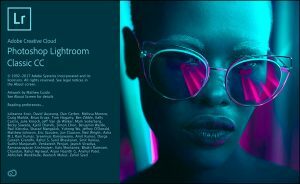 What Is Adobe Photoshop Lightroom Classic? Adobe is changing the name of the product that we have come to love over the past decade. What has been called Adobe Photoshop Lightroom CC or Lightroom v.6 until now, the desktop image editing and photo management application that many of us have been using for a decade, is now called Adobe Photoshop Lightroom Classic. Click here to learn more about the best new features in Adobe Photoshop Lightroom Classic. At this point, any article on this website, or any of our existing library of more than one hundred Lightroom video tutorials, now applies to the new Adobe Photoshop Lightroom Classic program. If the article, or tutorial that you are watching, was released before October 2017 then the program that it is talking about is Lightroom Classic. I need to make Adobe’s rebranding here as clear as I can because Adobe also released a brand new product today that they are calling Adobe Photoshop Lightroom CC. More on that in the next section, but once again if you are currently a Lightroom user, and you want to keep all of the features that you love in Lightroom plus gain some helpful new tools, then Lightroom Classic is the upgrade for you. 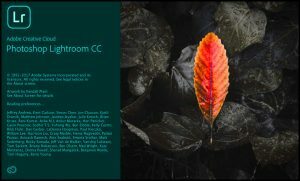 What Is Adobe Photoshop Lightroom CC? The brand new Adobe Photoshop Lightroom CC is a different animal from it’s Classic cousin with a host of new abilities and potential pitfalls. Be sure that you know what you are getting into before you jump into this brand new program. The Adobe Photoshop Lightroom CC that was released today is a cloud-native application. With Lightroom CC, everything that you do is synced and stored on Adobe’s servers (aka “the cloud”) all of the time. With Lightroom CC, your original raw or jpeg capture and all of edits are stored online. Unlike Lightroom Classic, with Lightroom CC you do not have to manage your own image storage folders and you can never have more than one Lightroom Catalog. The great advantage here is that since all of your images plus your edits are stored on the cloud they are available from any Internet connected device. With Lightroom CC you can access your original photos from any Mac or PC that is online. And since Adobe Lightroom CC stores your images for you on Adobe’s servers you do not need to worry about most of the common frustrations that plague traditional Lightroom Classic users like missing images or the curse of multiple overlapping Lightroom Catalogs. In many ways, Lightroom CC is far easier to use than Lightroom Classic. If you have never used Adobe Photoshop Lightroom before, or shoot primarily with a smartphone, than Lightroom CC might be the right choice for you. Online original image storage, improved integration with all of our mobile devices, and simplicity are all wonderful things but beware. Before you leap into Adobe Lightroom CC, you need to know that Lightroom CC and Lightroom Classic do not work well together. First, you need to know that Adobe Lightroom CC is version 1.0 software. Right now, Lightroom CC does not have all of the editing or image management features that Lightroom Classic contains. I am sure that Lightroom CC will evolve rapidly and that eventually this cloud-centric App will have all of the editing tools that we are used to using but right now they are not there yet. Features like a robust Export Dialog, Presets, the Tone Curve, the Map Module, or the Print Module are currently missing. It probably goes without saying but I also need to warn you that Lightroom CC requires fast reliable upload speeds. If you are working with limited bandwidth, or if your computer is not constantly online, than this is not the program for you. If you are primarily shooting images with a smartphone then this is probably not a big deal but before you try upload gigabytes and gigabytes of dslr raw files you had better know the limitations of your Internet connections upload speeds. Finally, do not try to use both of these applications simultaneously to manage the same group of images. These two programs are not “team players.” If Lightroom CC appeals to you then Lightroom Classic should not be a part of your image storage / enhancement workflow. Attempts to use both together are bound to end in heartache and frustration. This last bit of news from Adobe today is sure to upset some of Adobe Photoshop Lightroom’s existing customer base. Adobe has finally announced that all future versions of these programs will only be available to Adobe Creative Cloud subscribers. Adobe is committed to adding new camera support into Adobe Photoshop Lightroom 6 until the end of the year and they will continue to sell Lightroom 6 for those who want it but it has reached the end of the road in terms of new features and significant updates. For those who follow industry trends, or those who have watched Adobe’s reluctance to add new features into Lightroom 6, this is not a big surprise. If you are already an Adobe Creative Cloud subscriber than this news does not affect you. But if you were holding out hope for a stand-alone version of Lightroom 7 then I am afraid that Adobe has squashed your dreams. I’ll add additional posts and tutorials for you Lightroom 6 users on your options as they unfold but for now do not panic! If Lightroom 6 is currently working for you then it will continue to work on your existing computer for the foreseeable future. If you are currently a Lightroom 6 user then keep on trucking. Just because there will never be a stand-alone licensing option for Lightroom 7 (Classic) or Lightroom CC is no reason for you to panic and abandon the ship.